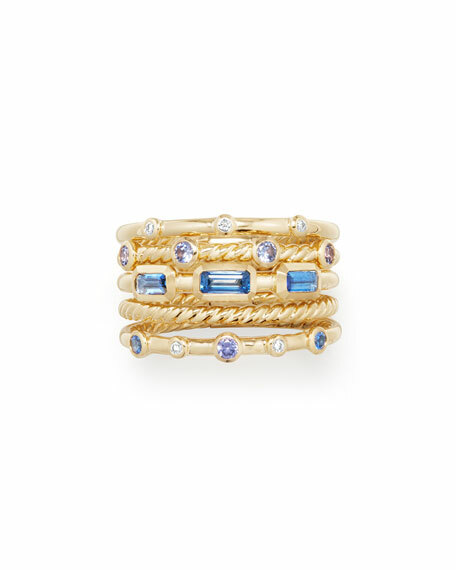 Novella multi-stack ring by David Yurman. 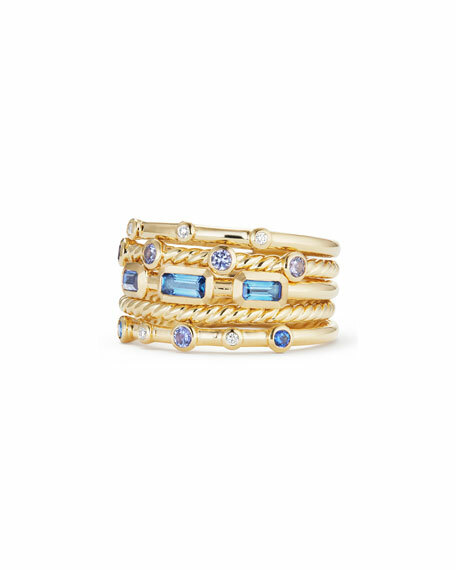 Five stacked bands with mixed stones. Mixed light blue and purple sapphires. David Yurman ring from the Continuance® Collection. Sterling silver with smooth finish and cable motif. Naturally white freshwater cultured pearl. 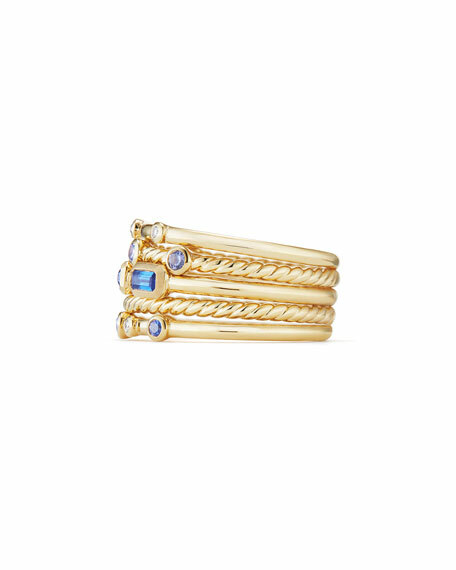 David Yurman ring from the Continuance® Collection. Sterling silver with smooth finish and cable motif. Naturally white freshwater cultured pearl. White diamond pavé halo. 0.29 total diamond carat weight. Approx. 0.6"W (15mm). Imported.